TM-200 two channel main station is upgrade version of MS-200. New TM-200 two channel main station is good for television station, communication center, UB truck, live performance and any other environment which requires communication. 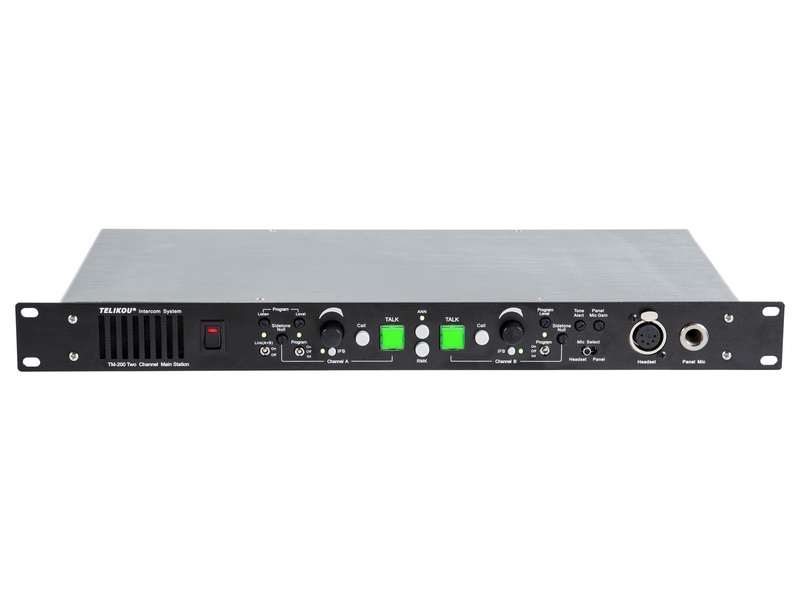 TM-200 system adopts wired connection, and has following features, free of external emission interference, stable and reliable performance, flexible configuration, full-duplex communication, clear and loud communication sound, easy operation, and strong noise resistance. Program input interrupts during talk. Announcer send signal from microphone to external device. Speaker level auto turns down when talk button is pressed. 6.35mm panel microphone jack with screw. Automatic circuit short protection and indication. Front panel LED working light.